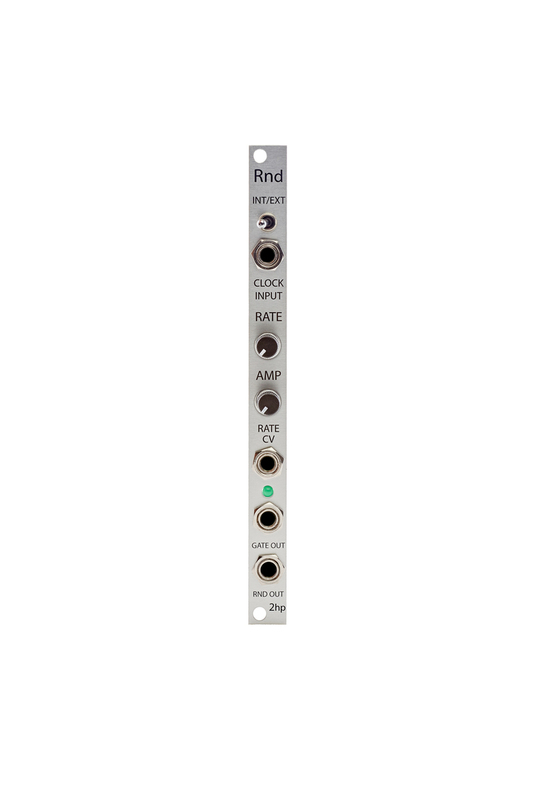 Rnd is a random voltage generator and random gate source with an internal clock. The output is a quantized random voltage between 0V and 10V. 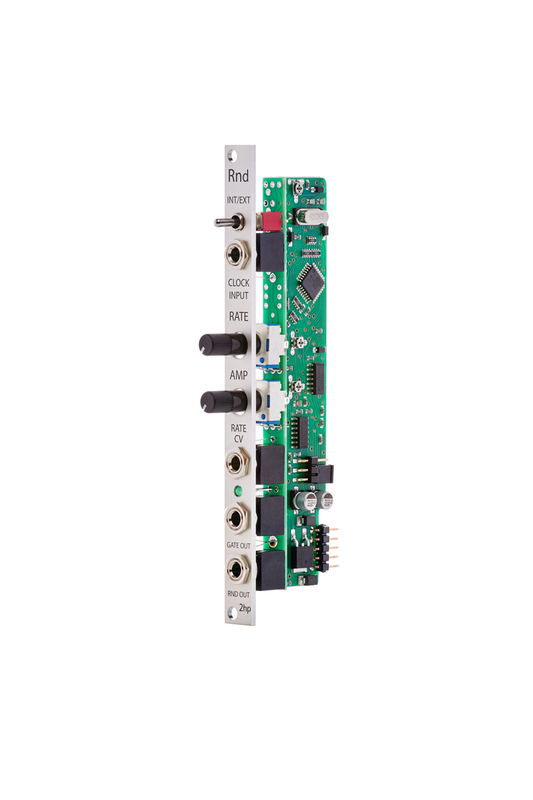 The attenuator control provides fine-tuning of the random voltage. This allows for a musically useful range to be defined. In addition, random gates are emitted from the gate output with an associated probability control while externally clocked. 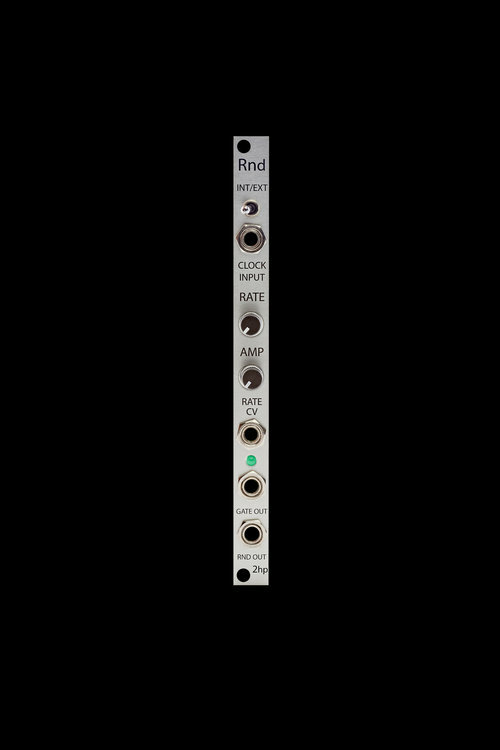 Great for modulation and chaotic rhythmic events, Rnd is a universal solution for adding unpredictability to your system.